If your garage door is shaking and making strange sounds during opening and closing, the sections of one or both tracks could be misaligned. 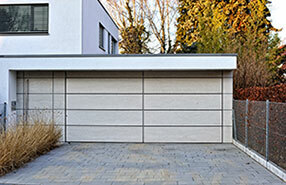 Solve this problem by using our garage door repair services. We’ll align the vertical and horizontal sections and tighten the bracket bolts so that the two components can stay securely in place. Count on us to replace missing bolts, if there are any. 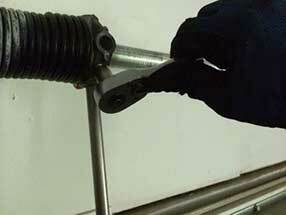 You should not be surprised to discover that the repair of bent tracks is among our most widely used services. This is because it’s easy for dirt and pebbles to get in the way of the roller wheels. The repair involves straightening the bent section to ensure smooth door performance. The first sign of a spring breaking is a loud bang. The next thing you know is having your car stuck in or outside of the garage. The good news is that our company can provide help quickly. We are stocked on extension and torsion springs of all sizes and makes and can complete the replacement work in no time. 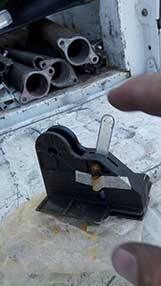 Rely on us to install the new component and adjust it to work with the door. In case of a torsion spring, the lubrication is literally the cherry on the cake as it guarantees dependable and fairly quiet operation. A silent motor unit is among the scariest things for automatic door owners, but you can expect an effective solution from our experienced company. Whether the issue is with the wiring, the circuit board or the motor itself, we’ll deal with it fast by repairing or replacing the affected component. One important thing which you should keep in mind is that problems with the motor are much less common than those with the hardware. If the main gear or the trolley is broken, we’ll install a new part which has the same specs as the original one. Our company is readily available to replace faulty safety sensors and motor remotes too. 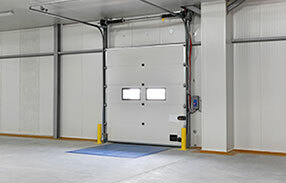 Your overhead door is jammed and hangs on one side? You most likely have a broken lift cable. To stay safe, don’t try to operate or lift your door until we arrive. Count on us to replace the snapped cable with a new one which has the same length and design. With accurate installation and adjustment, it will work flawlessly for a long time to come. In general, if you notice fraying and/or cuts on the cables, let us know immediately so that we can replace them before they snap and make your overhead door temporarily useless. When you have any kind of trouble with the hardware, opener or panels, just call us, at Garage Door Repair Atlanta, for a professional solution.